The year 1979 in science and technology involved some significant events, listed below. February 7 – Pluto enters a 20-year period inside the orbit of Neptune for the first time in 230 years. July 11 – America's first space station, Skylab , is deliberately allowed to burn up on atmospheric entry over the Indian Ocean. September 1 – The American Pioneer 11 becomes the first spacecraft to visit Saturn when it passes the planet at a distance of 21,000 km. December 24 – The maiden launch of Ariane 1, the first rocket in the Ariane launcher family. Amateur Achievement Award of the Astronomical Society of the Pacific given for the first time. Pluto is a dwarf planet in the Kuiper belt, a ring of bodies beyond Neptune. It was the first Kuiper belt object to be discovered and is the largest known plutoid. Neptune is the eighth and farthest known planet from the Sun in the Solar System. In the Solar System, it is the fourth-largest planet by diameter, the third-most-massive planet, and the densest giant planet. Neptune is 17 times the mass of Earth and is slightly more massive than its near-twin Uranus, which is 15 times the mass of Earth and slightly smaller than Neptune. Neptune orbits the Sun once every 164.8 years at an average distance of 30.1 AU (4.5 billion km). It is named after the Roman god of the sea and has the astronomical symbol ♆, a stylised version of the god Neptune's trident. A magnetar is a type of neutron star believed to have an extremely powerful magnetic field. The magnetic field decay powers the emission of high-energy electromagnetic radiation, particularly X-rays and gamma rays. The theory regarding these objects was proposed by Robert Duncan and Christopher Thompson in 1992, but the first recorded burst of gamma rays thought to have been from a magnetar had been detected on March 5, 1979. During the following decade, the magnetar hypothesis became widely accepted as a likely explanation for soft gamma repeaters (SGRs) and anomalous X-ray pulsars (AXPs). Arthur William Baden Powell publishes New Zealand Mollusca. Arthur William Baden Powell was a New Zealand malacologist, naturalist and palaeontologist, a major influence in the study and classification of New Zealand molluscs through much of the 20th century. He was known to his friends and family by his third name, "Baden". 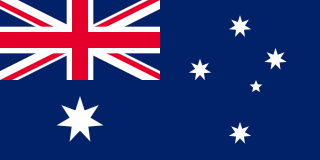 The US Federal Government releases the initial, draft version of Ada (programming language), a strongly typed, comb-structured language with exception handlers, for embedded systems. 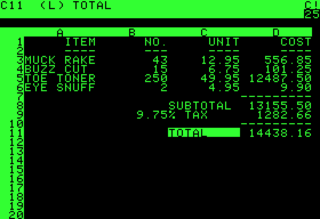 VisiCalc was the first spreadsheet computer program for personal computers, originally released for the Apple II by VisiCorp. It is often considered the application that turned the microcomputer from a hobby for computer enthusiasts into a serious business tool, prompting IBM to introduce the IBM PC two years later. VisiCalc is considered the Apple II's killer app. It sold over 700,000 copies in six years, and as many as 1 million copies over its history. Ada is a structured, statically typed, imperative, and object-oriented high-level computer programming language, extended from Pascal and other languages. It has built-in language support for design-by-contract, extremely strong typing, explicit concurrency, tasks, synchronous message passing, protected objects, and non-determinism. Ada improves code safety and maintainability by using the compiler to find errors in favor of runtime errors. Ada is an international standard; the current version is defined by ISO/IEC 8652:2012. 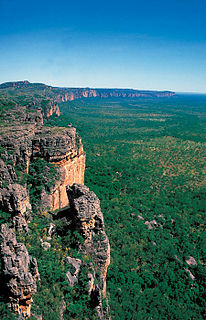 April 5 – First stage of Kakadu National Park declared in Australia. Robert Gwyn Macfarlane publishes Howard Florey: The Making of a Great Scientist. Robert Gwyn Macfarlane was an English hematologist. 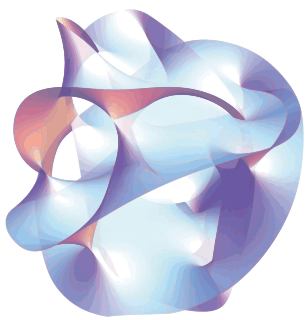 In mathematics, monstrous moonshine, or moonshine theory, is the unexpected connection between the monster group M and modular functions, in particular, the j function. The term was coined by John Conway and Simon P. Norton in 1979. John Horton Conway FRS is an English mathematician active in the theory of finite groups, knot theory, number theory, combinatorial game theory and coding theory. He has also contributed to many branches of recreational mathematics, notably the invention of the cellular automaton called the Game of Life. Conway spent the first half of his long career at the University of Cambridge, in England, and the second half at Princeton University in New Jersey, where he now holds the title Professor Emeritus. Simon Phillips Norton was a mathematician in Cambridge, England, who worked on finite simple groups. The last naturally occurring cases of polio are reported in the United States. Tumor protein p53 is identified by Lionel Crawford, David Lane, Arnold J. Levine and Lloyd J. Old. Dinosaur eggs found in the Two Medicine Formation of Montana. March 1 – Philips publicly demonstrate a prototype of an optical digital audio disc at a press conference in Eindhoven, Netherlands. June 12 – Human-powered aircraft Gossamer Albatross, built by an American team led by Paul MacCready and piloted by Bryan Allen, makes a successful crossing of the English Channel to win the second Kremer prize. June 29 – Artur Avila, Brazilian-born mathematician. January – Oscar H. Banker (b. 1895), Armenian American inventor. March 17 – Henry Aaron Hill (b. 1915), American fluorocarbon chemist, first African American president of the American Chemical Society. April 5 – Eugène Gabritschevsky (b. 1893), Russian biologist and artist. May 6 – Karl Wilhelm Reinmuth (b. 1892), German astronomer. September 26 – Sir Barnes Wallis (b. 1887), English aeronautical engineer. October 10 – Guido Fanconi (b. 1892), Swiss pediatrician. Edward Jenner, FRS FRCPE was an English physician and scientist who was the pioneer of smallpox vaccine, the world's first vaccine. The terms "vaccine" and "vaccination" are derived from Variolae vaccinae, the term devised by Jenner to denote cowpox. He used it in 1796 in the long title of his Inquiry into the Variolae vaccinae known as the Cow Pox, in which he described the protective effect of cowpox against smallpox. An eating disorder is a mental disorder defined by abnormal eating habits that negatively affect a person's physical or mental health. They include binge eating disorder where people eat a large amount in a short period of time, anorexia nervosa where people eat very little and thus have a low body weight, bulimia nervosa where people eat a lot and then try to rid themselves of the food, pica where people eat non-food items, rumination disorder where people regurgitate food, avoidant/restrictive food intake disorder where people have a lack of interest in food, and a group of other specified feeding or eating disorders. Anxiety disorders, depression, and substance abuse are common among people with eating disorders. These disorders do not include obesity. Appetite is the desire to eat food, sometimes due to hunger. Appealing foods can stimulate appetite even when hunger is absent, although appetite can be greatly reduced by satiety. Appetite exists in all higher life-forms, and serves to regulate adequate energy intake to maintain metabolic needs. It is regulated by a close interplay between the digestive tract, adipose tissue and the brain. Appetite has a relationship with every individual's behavior. Appetitive behaviour also known as approach behaviour, and consummatory behaviours, are the only processes that involve energy intake, whereas all other behaviours affect the release of energy. When stressed, appetite levels may increase and result in an increase of food intake. Decreased desire to eat is termed anorexia, while polyphagia is increased eating. Dysregulation of appetite contributes to anorexia nervosa, bulimia nervosa, cachexia, overeating, and binge eating disorder. Obsessive-compulsive personality disorder (OCPD) is a personality disorder characterized by a general pattern of concern with orderliness, perfectionism, excessive attention to details, mental and interpersonal control, and a need for control over one's environment, at the expense of flexibility, openness to experience, and efficiency. Workaholism and miserliness are also seen often in those with this personality disorder. Persons affected with this disorder may find it hard to relax, always feeling that time is running out for their activities, and that more effort is needed to achieve their goals. They may plan their activities down to the minute—a manifestation of the compulsive tendency to keep control over their environment and to dislike unpredictable events as elements beyond their control. 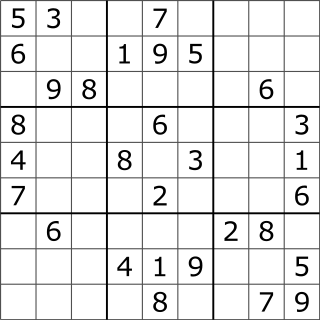 Sudoku is a logic-based, combinatorial number-placement puzzle. The objective is to fill a 9×9 grid with digits so that each column, each row, and each of the nine 3×3 subgrids that compose the grid contain all of the digits from 1 to 9. The puzzle setter provides a partially completed grid, which for a well-posed puzzle has a single solution. Russell's sign, named after British psychiatrist Gerald Russell, is a sign defined as calluses on the knuckles or back of the hand due to repeated self-induced vomiting over long periods of time. 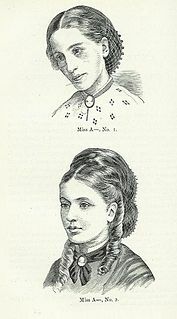 The condition generally arises from the afflicted's knuckles making contact with the incisor teeth during the act of inducing the gag reflex at the back of the throat with their finger(s). Rumination syndrome, or Merycism, is an under-diagnosed chronic motility disorder characterized by effortless regurgitation of most meals following consumption, due to the involuntary contraction of the muscles around the abdomen. There is no retching, nausea, heartburn, odour, or abdominal pain associated with the regurgitation, as there is with typical vomiting. The disorder has been historically documented as affecting only infants, young children, and people with cognitive disabilities . Today it is being diagnosed in increasing numbers of otherwise healthy adolescents and adults, though there is a lack of awareness of the condition by doctors, patients and the general public. John K. S. McKay is a dual British/Canadian citizen, a mathematician at Concordia University, known for his discovery of monstrous moonshine, his joint construction of some sporadic simple groups, for the Mckay conjecture in representation theory, and for the McKay correspondence relating certain finite groups to Lie groups. Gerald Francis Morris Russell was a British psychiatrist. In 1979 he published the first description of bulimia nervosa, and Russell's sign has been named after him. The Eating Attitudes Test, created by David Garner, is a widely used self-report questionnaire 26-item standardized self-report measure of symptoms and concerns characteristic of eating disorders. The EAT has been a particularly useful screening tool to assess "eating disorder risk" in high school, college and other special risk samples such as athletes. Screening for eating disorders is based on the assumption that early identification can lead to earlier treatment, thereby reducing serious physical and psychological complications or even death. Furthermore, EAT has been extremely effective in screening for anorexia nervosa in many populations. Maudsley family therapy also known as family-based treatment or Maudsley approach, is a family therapy for the treatment of anorexia nervosa devised by Christopher Dare and colleagues at the Maudsley Hospital in London. A comparison of family to individual therapy was conducted with eighty anorexia patients. The study showed family therapy to be the more effective approach in patients under 18 and within 3 years of the onset of their illness. Subsequent research confirmed the efficacy of family-based treatment for teens with anorexia nervosa. Family-based treatment has been adapted for bulimia nervosa and showed promising results in a randomized controlled trial comparing it to supportive individual therapy. Anorexia nervosa, often referred to simply as anorexia, is an eating disorder characterized by low weight, fear of gaining weight, and a strong desire to be thin, resulting in food restriction. Many people with anorexia see themselves as overweight even though they are in fact underweight. If asked, they usually deny they have a problem with low weight. They weigh themselves frequently, eat only small amounts, and only eat certain foods. Some will exercise excessively, force themselves to vomit, or use laxatives to produce weight loss. Complications may include osteoporosis, infertility, and heart damage, among others. Women will often stop having menstrual periods. Christopher G Fairburn is a British psychiatrist and researcher. He is Emeritus Professor of Psychiatry at the University of Oxford. He is known for his research on the development, evaluation and dissemination of psychological treatments, especially for eating disorders. James Samuel Risien Russell (1863–1939) was a Guyanese-British physician, neurologist, professor of medicine, and professor of medical jurisprudence. ↑ "Monstrous Moonshine". Bulletin of the London Mathematical Society . 11: 308–339. 1979. doi:10.1112/blms/11.3.308. ↑ Pegg, Ed, Jr. (2005-09-15). "Ed Pegg Jr.'s Math Games: Sudoku Variations". MAA Online. The Mathematical Association of America . Retrieved 2006-10-03. ↑ Russell, Gerald (August 1979). "Bulimia nervosa: an ominous variant of anorexia nervosa" (PDF). Psychological Medicine . 9 (3): 429–48. doi:10.1017/S0033291700031974. PMID 482466 . Retrieved 2012-04-10. ↑ Palmer, Robert (December 2004). "Bulimia nervosa: 25 years on". British Journal of Psychiatry . 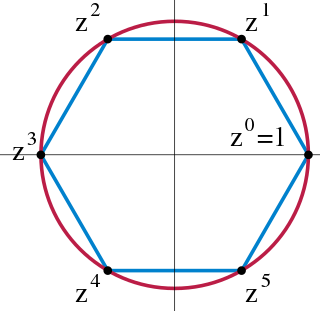 185 (6): 447–8. doi:10.1192/bjp.185.6.447. PMID 15572732 . Retrieved 2012-04-10. ↑ "Smallpox". WHO Factsheet. Archived from the original on 2007-09-21. Retrieved 2007-09-22.